Low Testosterone Replacement Therapy Glendale: Is Low Testosterone Compromising Your Health? Low testosterone causes a number of problematic mental and physical symptoms, and many men aren’t aware that help is available. In today’s post, we’ll review a few of the most common adverse health symptoms caused by low testosterone levels and explain how testosterone replacement therapy may be able to help. Whether or not your symptoms are caused by low testosterone, you should always seek help for any adverse changes in your mental health. Men’s Vitality Center in Glendale is here to help you and provide you with the support you need, so get in touch with us at 623-242-5881 or send us an email to schedule an appointment. 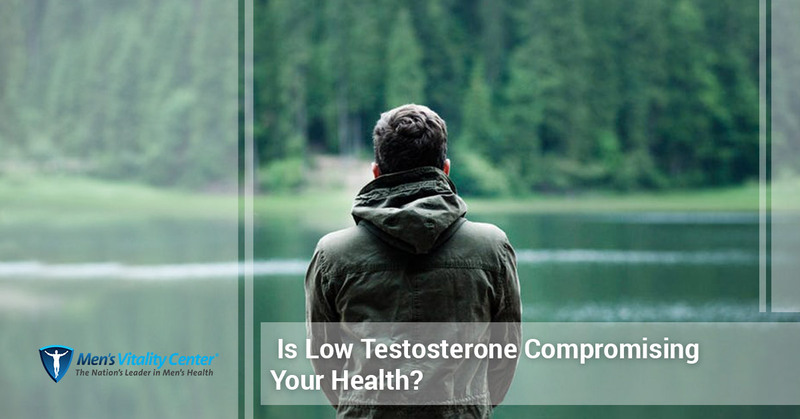 Depression, anxiety, and other negative mood changes are all common in men with low testosterone levels. The link between low testosterone and mental health problems is not entirely understood, though we do know that men who have low testosterone levels are more likely to be depressed than men with normal testosterone levels. In fact, men who have low testosterone levels are four times more likely to suffer from the symptoms of depression. Men with low testosterone often report feeling constantly fatigued, unmotivated, and that they have a general feeling of sadness that prevents them from participating in and enjoying the activities they used to love. 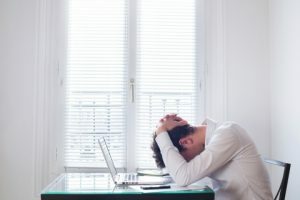 Moreover, depression can cause an individual to have difficulty falling and staying asleep, which in turn exacerbates the symptoms of depression and lowers the amount of testosterone in the body. Sexual dysfunction is one of the most troubling physical symptoms of low testosterone, and it can manifest itself in a variety of ways. Some men experience difficulty achieving and maintaining an erection, while others experience a severe decline in their libido. If you are experiencing either of these symptoms, or a combination of the two, then get in touch with Men’s Vitality Center. While it is understandably difficult for some men to speak with a physician about these issues, testosterone replacement therapy can often begin to relieve these symptoms in as few as three weeks. If you are experiencing the effects of depression and/or anxiety, then you should seek help immediately. Regardless of whether your symptoms are caused by low testosterone, genetics, or life circumstances, it’s important that you receive the help you need as quickly as possible. Testosterone replacement therapy can help you with the physical and mental symptoms caused by low testosterone. At Men’s Vitality Center, we utilize weekly testosterone injections to help our patients feel manage their symptoms as quickly and effectively as possible. Call or email Men’s Vitality Center in Glendale today to learn more about how testosterone replacement therapy could help you live a healthier, happier life.